A flexible, dynamic digital resource. "Teachers enjoy how easy it is to assign work to their students, and being able to see the results." "LiteracyPlanet has been a superb addition to the range of tools we use within Literacy to enhance the childrens’ learning. A tool that can be used by a school with over 50 different nationalities. "LiteracyPlanet has many features that complement the learning needs of our pupils, particularly those from a bilingual or multilingual background." "It is very appealing to students, challenging and most of all fun, therefore they are eagerly looking forward to it." "Students are more motivated to read and this has led to positive outcomes in other subject areas. i.e. a better understanding of worded problems in math." Offering a way for teachers to differentiate student learning. "Students’ reading confidence has increased, as well as their performance on spelling list activities." Offering a way for students to develop their literacy skills effectively while also having fun. "LiteracyPlanet has all the aspects we need. We like the wide range of tasks and the fact that teachers can allocate tasks in groups or individually based on need. The game approach means pupils learn without realising." "LiteracyPlanet has opened up a whole new way of learning for our young players. Learning that is fun, competitive and challenging is something all the boys want to engage with." "LiteracyPlanet captivates students' attention. It's a way for students to develop their literacy skills while also having fun...I especially like being able to input our own spelling lists, and the vocabulary lists that are available for all grade levels." "Literacy is one of the school’s key priorities. 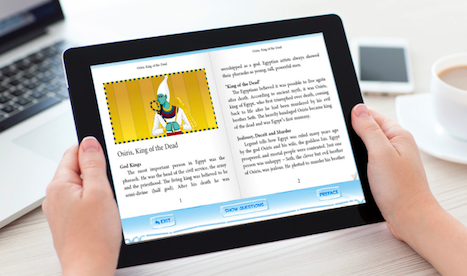 We looked at a number of different software packages, and felt that LiteracyPlanet has by far the most comprehensive offering to support our literacy objectives." "The children can all work at their own pace and the teacher can choose an individual path for each student. LiteracyPlanet has really helped me make sure every child gets what they need." - Nathalie Balduck, English teacher and Head of EdTech Primary. "Pupil Literacy outcomes have not only improved, children’s love for Literacy has been built, especially in the lower attaining pupils and our reluctant readers and writers. LiteracyPlanet has changed the way my learners see Literacy as a whole." "LiteracyPlanet works well as a literacy support provision, and through our deployment method we have seen some fantastic improvements with some of our key target student groups."